However, just because our living space is tiny doesn’t make it any less awesome. Home is where the heart is, after all, even if our living room is nonexistent and our bathtub is in our kitchen. Moving into a shoebox-sized studio may seem discouraging at first, but it doesn’t mean that it can’t have the potential to look and feel as spacious as your dream loft. We chatted with experts in the world of interior design to get their insider tips and hacks for making the most of a small space. Read on for ways to make your space look larger (even if it is just an optical illusion), utilize your walls space, and help keep your spirits high, even if your square footage is low. Whether you choose a darker color or not, painting your walls and your ceiling the same color can also trick your eye into thinking a room is bigger. 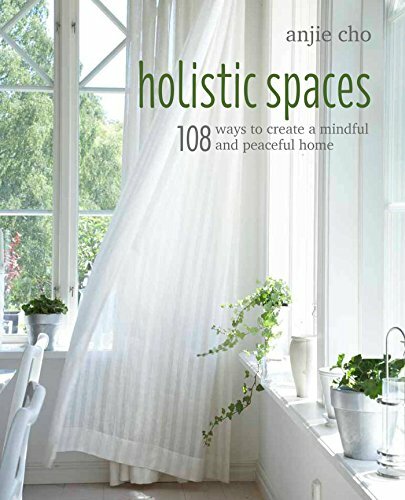 Anjie Cho, architect, certified feng shui consultant, and author of 108 Ways To Create Holistic Spaces: Feng Shui and Green Design for Healing and Organic Homes, suggests going for an all-over color, as the monotone look creates a continuous surface, thus making the room look more expansive.